Based in Germany, Miele enjoys an unparalleled reputation for the superb filtering provided by their vacuum cleaners and vacuum bags. Miele vacuum cleaners have a sealed body which, in combination with HEPA filters and high efficiency polymer fiber bags, capture allergens for good, allowing none to escape. When you purchase a quality vacuum cleaner like a Miele, you’ve made the first step toward superior air quality in your home. The next step is just as important, and that is choosing Miele AirClean high quality vacuum bags for use in your Miele vacuum. Miele drew upon over 80 years of engineering experience in developing their newest generation of vacuum dust bags. Miele’s AirClean bags contain 9 separate layers of electro-statically charged filter material just within the bag itself. All these layers work to contain the very finest dust that aggravates both allergies and asthma. When you open the vacuum to change the bag, the Miele AirClean filter bag automatically seals itself with its self-locking Auto-Seal collar, further protecting against dust leakage and safeguarding both air quality and personal hygiene. Improved airflow from these bags ensures good suction while high-strength netting enhances bag durability and defends against punctures. When used with AirClean FilterBags, your Miele and its hygienic filters form the advanced 12-stage Miele AirClean System, retaining up to 99.9+% of all dust particles. 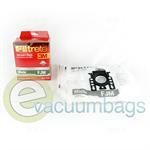 Miele also strives to make the experience of buying replacement vacuum bags easier for you. Miele has developed a color-coded system to guide you back to the bag your Miele vacuum needs. S200 series full-size canisters and power teams, Miele models S227 - S240i and S269i - S282i. Type Z bags have an orange-yellow tab and fit Miele S170, S171, S172,S174, S176, S177, S185, Powerhouse S 183, Powerhouse S 184, Powerhouse Plus S 185. 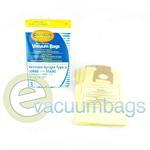 Generic DVC Paper Vacuum Bags for Miele Canister Vacuum Cleaners using Style FJM Bags. 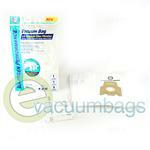 EnviroCare Anti-Allergen Paper Vacuum Bags for Miele Vacuum Cleaners using Style FJM Bags. 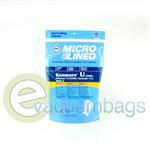 EnviroCare Generic Micro Filtration Vacuum Bags for Miele Model Vacuums using Style FJM Bags. 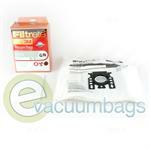 EnviroCare Generic Paper Vacuum Bags and Filters for Miele Model Vacuum Cleaners using Style GN Bags. 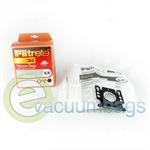 3M Filtrete Synthetic Vacuum Bags for Miele Canister Vacuum Cleaners using Style GN Bags. 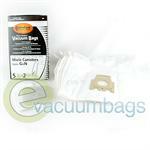 EnviroCare Paper Vacuum Bags for Miele Canister Vacuum Cleaners using Style GN Bags. DVC Disposable Paper Vacuum Bags for Miele S227-S240i and S269i-S282i Model Vacuums using Style H Bags. 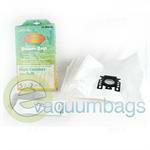 Generic EnviroCare Vacuum Bags for Miele Vacuum Cleaners using Style K Bags. 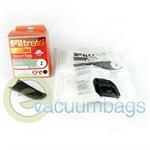 3M Filtrete Style K/K Synthetic Vacuum Bag for Miele S140-S157 Series Upright Vacuum Cleaners. 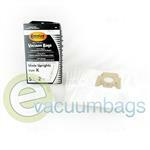 Generic EnviroCare Paper Vacuum Bags for all Miele S7 Upright Vacuum Cleaners. 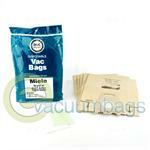 Generic DVC Micro-Lined Paper Vacuum Bags for Miele Model Vacuums using Style Z Bags. 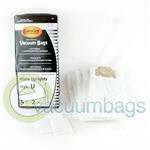 3M Filtrete Synthetic Vacuum Bags for Miele S170-S180 Series using Style Z Vacuum Bags. 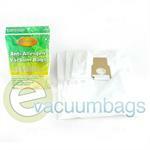 Generic EnviroCare Anti-Allergen Paper Vacuum Bags for Miele Model Vacuums using Type Z Bags. 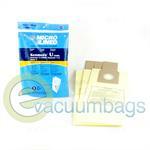 Generic DVC Micro-Lined Paper Vacuum Bags for Miele Upright Model Vacuums Accepting Type Z Bags. 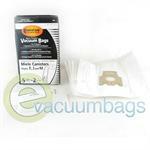 Generic EnviroCare Paper Vacuum Bags for Miele Upright Vacuum Cleaners Accepting Type Z Bags.